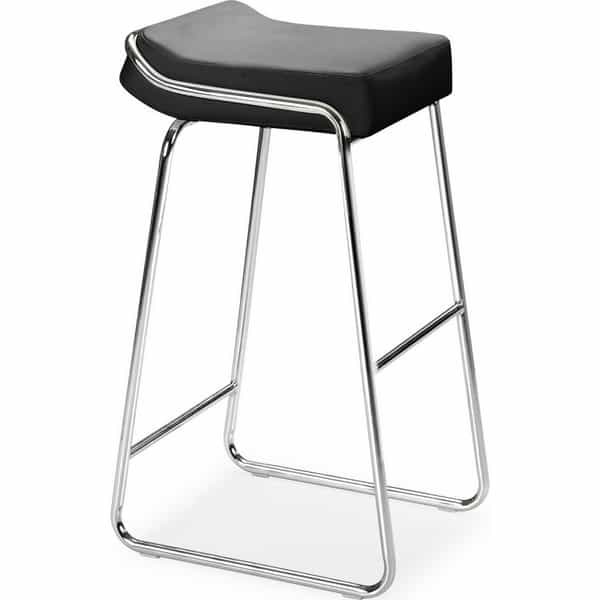 The Wedge Bar Stool by Zuo Modern is the perfect stool to highlight your contemporary decorating scheme. 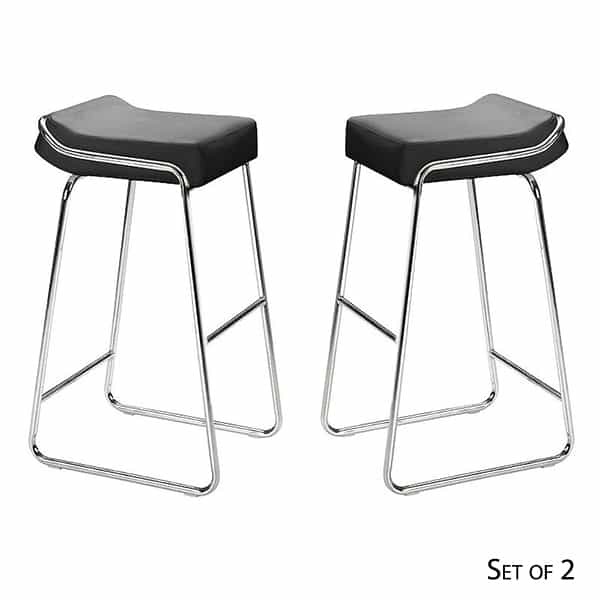 This unconventional chrome stool is a fusion of mid-century modern black and chrome. It has a stream-lined chromed steel tube base and a thick, comfortable cushion seat. The seat is upholstered in easy to care for black leatherette.